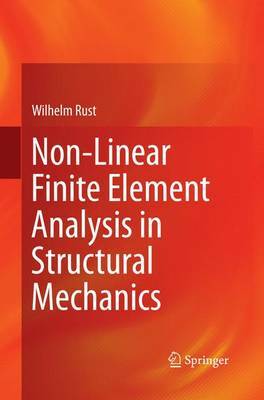 This monograph describes the numerical analysis of non-linearities in structural mechanics, i.e. large rotations, large strain (geometric non-linearities), non-linear material behaviour, in particular elasto-plasticity as well as time-dependent behaviour, and contact. Based on that, the book treats stability problems and limit-load analyses, as well as non-linear equations of a large number of variables. Moreover, the author presents a wide range of problem sets and their solutions. The target audience primarily comprises advanced undergraduate and graduate students of mechanical and civil engineering, but the book may also be beneficial for practising engineers in industry.